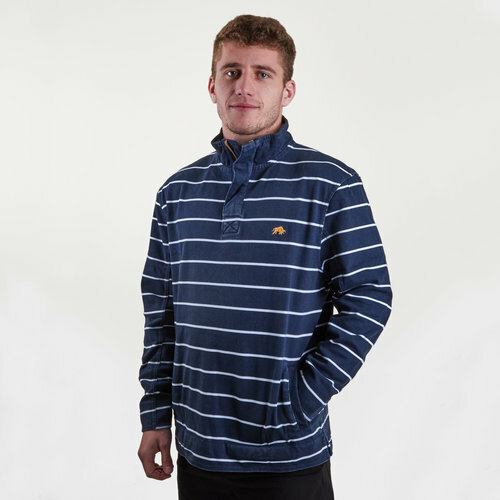 A classic look with ultimate comfort and warmth provided, pull on this Raging Bull Pigment Print Stripe 1/4 Zip Rugby Sweat in navy. This pique 1/4 zip sweatshirt is the perfect grab and go jumper no matter what the weather may be. This top is warm enough to keep you feeling relaxed and to fight off the cold weather but it's also cool. enough to wear all day long. This jumper is navy with white stripes and features the Raging Bull logo to the left of the chest.